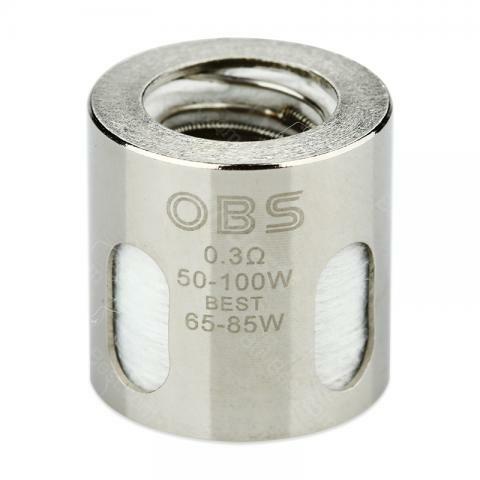 OBS Engine Sub cotton coil can be used with Engine sub and Engine sub mini atomizers. It is 0.3ohm resistance clapton coil with 4 filling holes and vertical heating wire, which supports 50W to 100W wattage. 3pcs per pack. • It's for Engine SUB/Engine SUB Mini Atomizer. Must have for OBS engine. Don't know why I'm commenting on a coil lol. Very good spare parts with cheap price. I ordered serveral packs of these.